Apparently an important business man, the son spends most of his time at the office or traveling for work. His father lives alone, having recently lost his wife. The son cares about his father, but his life doesn’t allow much room to be the caregiver or even a companion that he knows his father needs occasionally. The son’s solution; get his father a robot. Initially resentful, as the story unfolds the father becomes attached to the little human-like guy that helps him cook, clean, bathe and reminds him to take his pills. The four foot mechanical being is even set up to change his own battery and recharge when necessary. 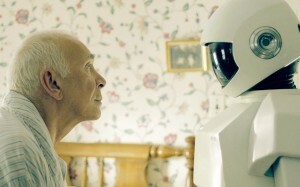 The son shows up even less, and the old man learns to love the robot as the son he doesn’t have, and names him Arthur. Time passes and the day eventually comes when the father doesn’t wake up in the morning. Arthur doesn’t detect any signs of life, but goes about the chores he is designed to perform. As the viewer, I found myself feeling sorry for the robot as he obviously knew that he was no longer needed, but nonetheless was operating from a set program. Even so, there was no satisfaction to his efforts as his master was no longer receiving the benefits of his work. The final scene is watching Arthur sitting on the front porch allowing his own battery to run out. Is this perhaps the telling of a story that will develop into a reality in the not too distant future? With the increase of people topping 65 years of age, there is also a decline in the number of people who want to care for them. Robots may be the answer to bridge the gap and come to the aid of an aging population. A software engineer out of England who is presenting his doctorate in new types of human and robotic interaction, has already prototyped an elder-care machine to monitor a senior’s basic care, help in keeping tabs with communications to and from doctors as well as offer companionship. Toyota has a working model already in the field. The arena is wide open from the single entrepreneur to large corporations in developing this sought after service. Quality of care is foremost in the minds of scientists who are developing artificial intelligence for senior care. AI for this purpose would have to have a compassionate side. Today the television set is a constant companion for many of our seniors and it could care less about who’s watching. The rewards are shallow for the elder viewer. How is compassion and empathy built into a machine? If we look around at some of the applications we use daily, we realize they are intuitive to our needs, so is there much of a leap to enhance the intuitive app. to perform like sincere caring? This capability will most likely follow as an enhancement rather than as an initial feature and grow – excuse me for saying – organically, as the machines are refined. Time will tell as it marches on. As I’ve mentioned in past articles, by the year 2050, any job done by a human today will be done by a machine. 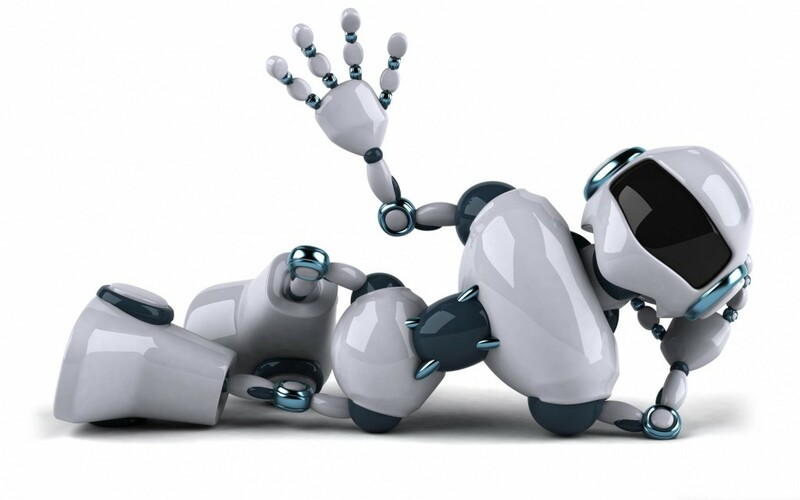 Have you ever thought that it may be a robot holding your hand as you take your last breath?